Did you ever wish you had eyes in the back of your head? When you are backing into a parking spot, being able to know where the car behind you is would save a lot of time and nervousness. 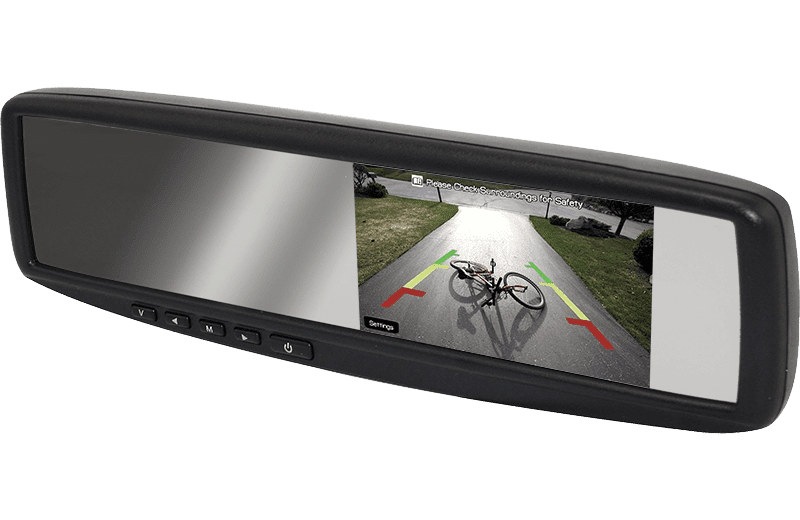 If your car doesn’t have a backup camera or parking sensors, then it’s time to visit your local mobile electronics specialists. They can add these parking safety systems to almost any vehicle on the road. The classic backup camera system consists of a compact camera, typically about a 1-inch cube. 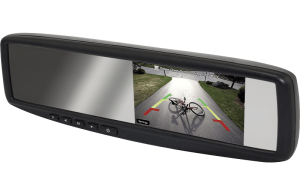 The image produced by a backup camera covers a wide field of vision in both the horizontal and vertical planes. The image is reversed from that of a normal camera. When the camera is installed pointing rearward, this reversed image shows objects on the right side of the vehicle on the right side of the display screen. This orientation mimics what you would see in a rear view mirror. Most cameras are water-resistant so rain, snow, mud and dust don’t affect their performance. 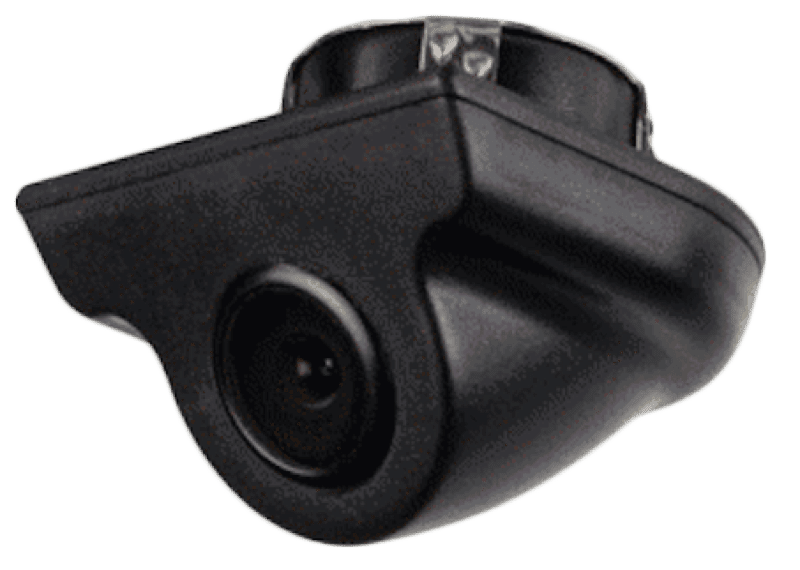 The wiring for these cameras is also water-resistant, usually up to the first connection unless specified otherwise. That connection should be inside the vehicle. Most good-quality cameras use wide-aperture shutters that allow the camera to capture a lot of light, even when it’s dark out. The reverse lights of your vehicle are often more than adequate to light up everything behind you. Most of these cameras are rated down to 0.5 or 1 Lux of light sensitivity. If you need to see in the dark, then there are cameras with built-in IR light transmitters. These can be used inside closed areas, like an engine compartment of a boat or the container of a delivery van. Cameras can be installed at the top of or above your license plate. Some custom camera solutions are built into replacement tailgate, hatch handles and third brake light assemblies for many trucks and SUVs. Several companies manufacture wireless camera systems. 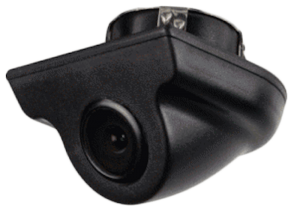 If you have a vehicle that is difficult to run wires in, then a wireless camera system may be a viable option. Just be aware that the quality of wireless cameras systems varies a great deal. The last thing you want is for an image to be full of noise, or not present at all due to interference. Wireless systems also have a small amount of delay inherent to their design. This delay can be as little as 100 mSec for some WiF-based camera systems up to almost 300 mSec for others that use more conventional AM and FM transmission techniques. You will need to work with your retailer to choose the right camera system for your vehicle. There are many options for where the camera image can be displayed. Almost all aftermarket multimedia source units have dedicated rear view camera inputs and triggers. 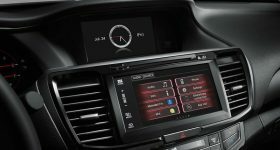 If your vehicle has a color display from the factory, several companies manufacture interfaces that allow an aftermarket camera image to be displayed on that screen. The third option is a dedicated display screen. This display can be a stand-alone monitor that is installed on the dash or in the center console, or is built into a new rearview mirror. Rearview mirror displays are a nice, clean option because nothing stands out as having been added to the interior. Some camera systems designed for larger vehicles offer side and front camera locations as well. The monitors included with these systems can typically show all four cameras at once in a variety of on-screen configurations. The most elaborate of these systems will stitch the images from the four cameras together to provide a bird’s-eye view of what is around the vehicle. These 360-degree systems require careful calibration to work properly. Most of these multi-camera systems include reverse and turn signal triggers to automatically change which camera is being displayed. When you put your transmission in reverse, a wire connected to your reverse lights or a reverse gear signal from your transmission triggers the camera system to turn on. 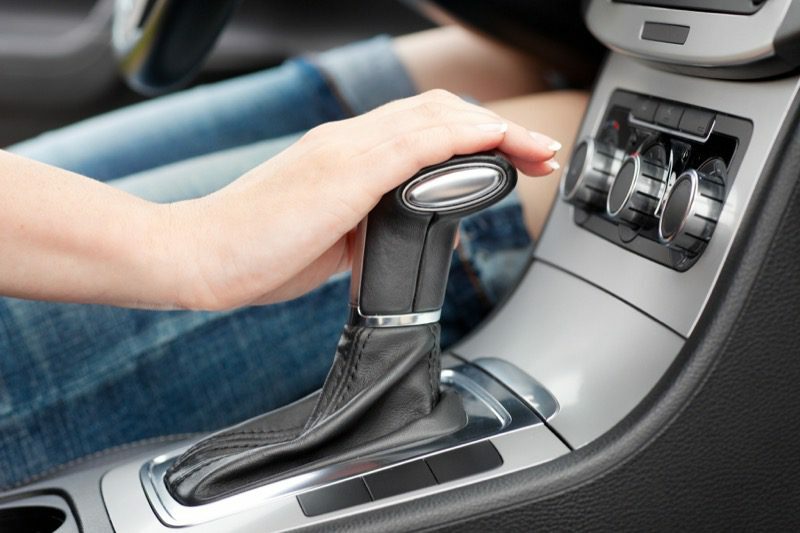 You don’t need to press any buttons or flick any switches – it happens instantly and automatically. The camera should be installed and aligned so you can see the ground as close to the rear of your vehicle as possible. An alternative to a camera system is a parking sensor system. Instead of a camera, these systems use several ultrasonic sensors to detect the presence of objects. These sensors emit a very high-frequency signal, then measure how long it takes for that signal to bounce off an object and return to a receiving sensor built into the same small unit. These sensors are typically installed on the rear bumper of your vehicle. When installed properly, they do a great job of detecting even small objects like the post of a sign. This method of object detection is the same as what bats use for navigation. How a parking sensor system works varies by brand. Some systems have a small display that shows you which sensor has detected an object and how far you are from that object. Most systems use a small beeper or buzzer to alert you to the presence of an object. The system will emit a beeping sound when it detects an object. The speed of the beeps increases as you get closer to the object. The warning beeps usually switch to a solid tone once you are within 12 inches of an object. More-elaborate parking systems also include front-mounted sensors to help when driving forward into parking spot or garage. Ultimately, cameras and parking sensor systems do the same job: They let you know when you are getting close to something. One significant benefit of a parking sensor system over a camera system is that it is completely active. 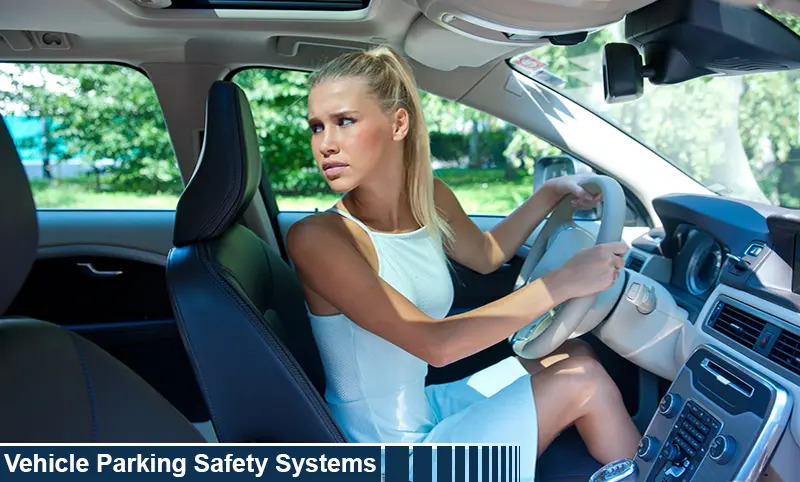 You don’t have to make a conscious decision to look at a screen or display to be warned of an imminent collision – the system beeps and tells you. This isn’t to say that one system is better than the other – they simply differ in how they work. If you were trying to back a pickup truck up to a trailer, a backup camera system would be a huge benefit, while the parking sensor system just tells you there is something behind you. Here’s a chilling fact: More than 50 children are hit each week in the U.S. by a vehicle that is backing up. Sadly, roughly two of these children succumb to their injuries each week. We aren’t trying to scare you or make you paranoid – but accidents happen all the time while backing up. If your vehicle didn’t come with a parking safety system, then drop by your local mobile electronics specialist retailer. They would be happy to inspect your vehicle and design a parking solution that meets your needs.